Governors State University [GSU] is accepting applications for the position of General Counsel. The General Counsel is the chief legal officer of the university, and manages all legal questions personally or through outside counsel. The position will manage the Office of the General Counsel, provide day-to-day legal counsel for theGSUBoard of Trustees and the university president, and formulates legal solutions to issues impacting the university. The General Counsel is an officer of the university and attends all Board meetings and is a member of the President's Cabinet. The position renders advice and legal opinions regarding students, employment, transactional and real estate issues as well as manages litigation and administrative complaints. 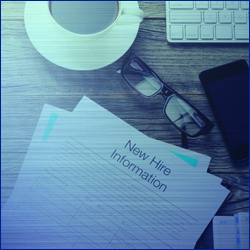 The position will provide advice on and oversee the review of policies, procedures, contracts, grants, and license agreements for compliance to applicable federal and state laws and regulations and university policies. The position provides input and guidance pertaining to athletics-related issues, laws and restrictions. The position and office work closely withGSUadministration on litigation involving the university in federal and state courts. The General Counsel acts as the university's Ethics Officer as described in the Illinois State Officials and Employees Ethics Act. As a university with a strong commitment to the principles of diversity and inclusion,GSUexpects its General Counsel to help foster a legal environment in which all members of the university community may learn, live and work in an atmosphere of mutual respect and nondiscrimination. The successful candidate must hold a Juris Doctorate from anABAaccredited institution and at least seven years of professional legal experience practicing law; personal and professional integrity, excellent judgment, and exceptional communication and relationship-building skills. Experience managing complex legal issues, effective membership of a strategic leadership team, and prior experience with legal issues in a public higher education environment is highly preferred. Experience in Illinois higher education is preferred. Admission to the practice of law in Illinois is a condition of continued employment and is required within six (6) months of appointment.